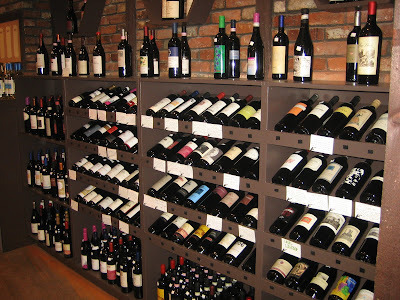 A good friend asked for some wine recommendations for gift-giving purposes, so I thought to share my suggestions here to see if anyone else had a tip to share based on inventory at Phoenix-area Total Wine stores. Let us know in the comments section. 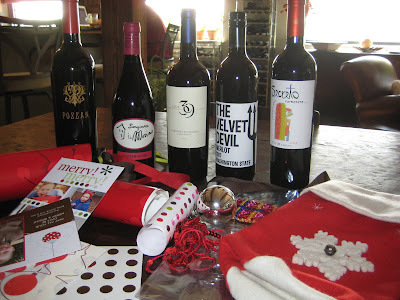 Looking to give a gift of 3-4 wines to a friend who drinks mostly California Cabernet. Average cost around $25/bottle. Shopping to be done at Total Wine's Desert Ridge location in Phoenix, Arizona. For gift giving purposes, there's a few different ways to go. You can give wines you think they'll like based on awareness of the categories they're fond of. Or, it can be nice to focus on a region (France, Italy, Napa) and then combine the wine with a book about wines/travel to that region. Or, you can mix it up and give them wines that align with the taste profile of their favorite category. -Delicious entry-level offering from a winery making incredible Cab (Chappellet Signature) at the $40 price-point. For immediate consumption (as opposed to cellaring it for a couple years) I think their Mountain Cuvee is a better play. -This is an outstanding wine and a good buy at $32. Big, bold, aromatic Napa Cab that drinks like a $50 wine. Highly recommended. -Long-standing brand that’s staged a bit of a comeback with this vintage. Drinking very nicely. Big and chewy without being harsh. Elegant label too. -Buehler consistently makes a legit Napa Cab at a reasonable price-point. This isn’t the best price I’ve seen on this wine, but if you want to do 4 Napa Cabs this is one I’d choose to round it out. Or ask someone who works there for a recommendation within your budget. -Haven’t had the ’08 vintage of this wine yet, but the 2007 was a WSJ value-pick and an amazingly delicious $10 wine. -Not the best price on this one (I’ve seen it for just over $20 here in Massachusetts) but this is a very delicious (if higher alcohol) Australian Shiraz. 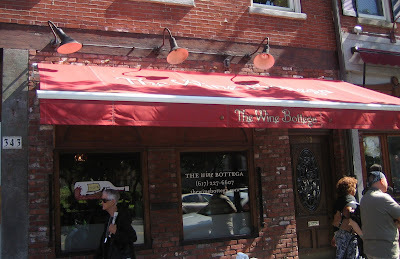 -Haven’t had their Merlot but really enjoyed their Cabs. Don’t see that Total Wine carries the Cab but if you wanted a Merlot to mix in with an assortment of varieties I’d give this one a go. -It’s tough to find a good bottle of Pinot Noir under $20 but luscious soft fruit makes this one a crowd pleaser. -The label isn’t much to look at but this wine is legit Pinot. -Love love love this Oregon Pinot Noir. Every time. Big and fruity while still being serious. Great looking bottle, and not too pricey. Highly recommended. -Decent price for this classic Santa Barbara Pinot Noir. -Can’t go wrong with a big luscious red Zinfandel from this famous CA producer. 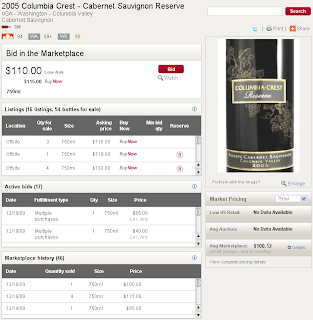 I really appreciate the way Total Wine has per-location inventory online. It enables me to give suggestions to friends they can easily find. Vintages weren't available for all of the wines, but I assumed the current vintage was consistent with is coming to market now. What do you think of these picks? What $25 gift-friendly red wine would you recommend from this Total Wine location? I've mentioned in the past that restrictive Massachusetts wine shipment laws are annoying to me because they require us to have wine shipped to neighboring states to take advantage of deals from out of state retailers. Invariably, something goes awry with this transaction: Missed shipment, couldn't connect with the driver to sign, 2 delivery attempts have been made, what's the tracking number again, where do I need to go to pick up this stuff? You get the idea. Even if things go smoothly you're imposing on a friend or relative to accept delivery. I hope you don't mind, but I ordered some wine online and had it shipped to your place. It should arrive some time the first part of this week- 3 bottles. Here's the tracking info. I think it will require a signature but I hope the FedEx guy can catch you on a day you're around and this isn't a nuisance for you. I'm picking up a new bottle opener today. Too bad we couldn't finish the third bottle, we were drunk and it spilled as I recall. I guess we should have taken notes. Ah, fatherly hazing. Good times. On a serious note, I see that the dreaded Martha Coakley won the Democratic nomination for Ted Kennedy's US Senate seat. At first I thought this was an awful outcome given her opposition to consumer-friendly changes to Massachusetts wine shipping laws. However, as I think about this just a little more, I see this as an opportunity to get her out of the state Attorney General position so hey maybe things will free up a bit. Summing this up: Every Massachusetts resident should be in favor of freeing up wine shipping laws because allowing legal shipments of wine would enable the state to derive tax revenue from the shipments thus reducing the need to raise taxes in the state further. Like reading about stuff like this? I'd love it if you subscribed to updates via E-mail so we can continue the conversation. 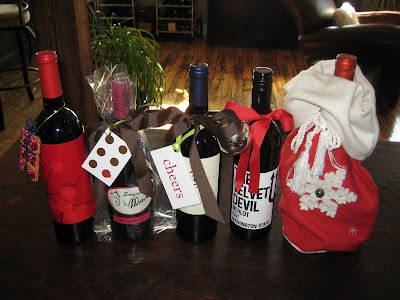 Like many of you, every year my wife and I give out bottles of wine as holiday gifts to friends, family and coworkers. We go through at least a couple of cases, so we try to make it a somewhat value driven purchase. But above all, it needs to taste good! At least that is my opinion on the matter. I can completely handle finding a crowd pleaser for under $15 bucks; the challenge comes when my wife demands an aesthetically pleasing bottle and label. See, I care what it looks like, but not as much as I care about what it tastes like, so what to do? This year we decided to take an objective and democratic approach. Blind tasting and aesthetics judging! Decent looking packaging – we had to start somewhere! Over the course of a few weeks during regular wine shopping we picked up a couple extra bottles here and there. Some of the initial selections were ruled out based on the color palate of the packaging. One of these in particular I would like to make specific note of is Peachy Canyon’s, “Incredible Red,” this has consistently been a good value Zinfandel that I was able to find for under $10. It has wide appeal and is worth trying if you’re not offended by a little baby blue on the label! What you do see here were the five finalists that made the cut for the blind tasting. 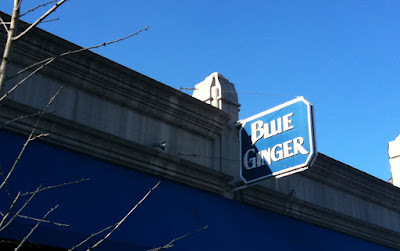 We browsed the wines at a few local stores that tend to have pretty good and reasonably priced wines; the Wine Connextion in North Andover, Bin Ends in Braintree, and the Milton Fruit Center. The looks came first, then the varietals. The wide variety was somewhat intentional, so we could look for tastes that would be pleasing to wine enthusiasts and novices alike. Once the list was narrowed down, the illustrious Robert Dwyer and I sat down to taste through the brown bagged extravaganza. My wife was wonderful; she bagged and poured the wines so neither of us could make assumptions based on bottle shape, weight, etc. The first step was to taste through the wines, thinking through what we liked but also what would garner appreciation from the widest array of palates that might receive one of these tasty gifts! We made our pass through and then ranked in order of preference. Step 2 was judging the bottle based strictly on its appearance, my wife Kelly provided an additional vote in this category. The combined result of the taste and aesthetics scoring led us to our final pick. Pozzan Zinfandel: Soft mouth-feel, vibrant sweet fruit, smooth overall and not overpowering with heat. Maybe a little too “luscious fruit” for some, but the slight hint of sweetness on the back will please many. The Velvet Devil Merlot: Nice fruit on the attack, smooth mid palate, but a little faint, light on the finish. Which in this case I think is a positive and might make it more appealing to a wider audience. This was a close second, if not tied for first for both Bob and I. Line 39 Cabernet: Confusing nose, smoky with a little lead pencil in the mix. Tight mouth feel, some initial fruit that only makes a split second cameo. Not terrible, but not great – I could definitely find a more pleasing Cab for $10 to $15 from South America. Secreto Carmenere: Very green nose, almost with a weird hint of motor oil. Not far off the flavor profile of other Carmenere that I have tried, but probably less appealing to a wide audience. Il Morino Sangiovese: Acidic, (tried it with some cheese too – didn’t make it more pleasant) Black tea notes, and a little heat on the back. Not terribly enjoyable. 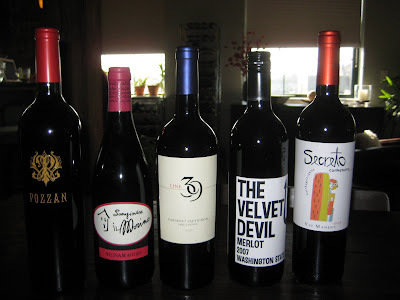 The result was a tie between the Pozzan Zin and the Velvet Devil Merlot. Some of the more traditional people on your list might be confused or offended by the playful “Velvet Devil” concept. Either way you can’t lose with either of these wines, you won’t break the bank and people will always remember that yummy bottle of wine you gave them! In the spirit of not breaking the bank, we also thought about different ways that you can decorate bottles for gifts from extra holiday supplies you might have lying around. I must credit this to the wine chick (my wife) for always coming up with simple ways to enhance the bottle I’m bringing to the office grab! A simple red bow – looks great with the black and white of the Devil label! Go green, recycle that wine bag you received last year but didn’t have the heart to throw away, even though they only paid 99 cents for it at the Chrismas Tree Shops! This blind tasting stuff is a lot of fun and I encourage you to get some friends together and try it. You will be guaranteed a good time, and you might even figure out a way to do something productive – like pick your holiday favorite! I hope our little experiment will help you find that perfect holiday gift! If not, that’s ok too because we had a good time trying! Okay, this is too coincidental to be true. As I've mentioned previously, we've been on the look-out for a Barbaresco case club deal. The tough thing with Barbaresco: It's not an affordable category. On one hand it's a tough wine to dabble in, on the other it makes it all the more necessary to combine purchasing power. That said, there's a limit to how much a case discount can reduce the price of a wine. 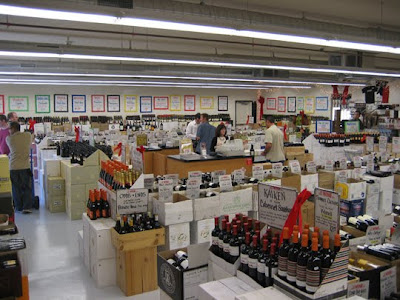 By law, Massachusetts retailers aren't allowed to sell wine for cheaper than they buy it for. 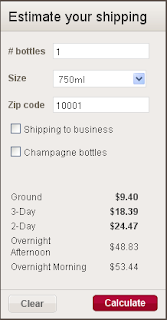 However, close-outs sometimes enable retailers to offer wine at seemingly impossible prices. I'm not sure how Cinderella Wine does it (witness this deal on Ridge Lytton Springs just a couple weeks ago) but when they mentioned they were featuring a 2004 Barbaresco I was wondering who the producer was. Lo and behold it was the exact wine I tried at a couple of tastings recently that made me reconsider whether opting out of Italian wine as a category was a good idea. When Italian wine disappoints me it's because it's thin, limited aromatically, lacking in flavor, and austere. It apologizes for this by claiming it needs to be paired with food in order to be enjoyed. I'm not buying it. Bad wine doesn't become good when paired with food. This wine, on the other hand, bucks the trend of these disappointing values. It's full of unique, complex aromas of red berries, leather, and spice. It's got a savory component on the palate that I love, and while it's true to its Italian roots with ample acidity, it doesn't whine about needing to be paired with food. Saturday, December 12th from 3-5PM at Ball Square Fine Wines, they'll be hosting a sparkling wine tasting event. Learn more about what Grower Champagne is, taste it and discover why it might be a better choice than the big brands that dominate the Champagne market. 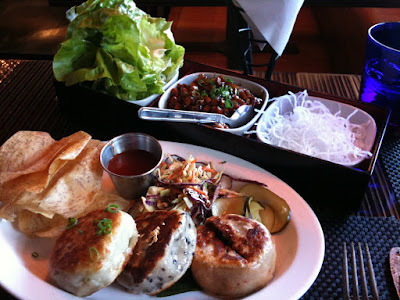 You'll also get a chance to nibble on snacks -and- sample other staff favorite sparklers from around the world. Sounds like a good chance to try some nice wines! The event is FREE and open to anyone 21 or older. Click HERE to download the flyer for further information. Caymus Cabernet Sauvignon might just be the definitive aspirational Napa Cab. Readily available yet highly sought after, familiar yet prestigious, and ever-present in steakhouse cellar windows. Consistent as all get-out. Since 1998, Wine Spectator has rated every vintage between 91-93 points (all outstanding). Consumers are impressed as well. As of this writing, every vintage from 2001-2006 has a median rating of 92 on Cellar Tracker. The 2007 vintage is seeing an uptick however. 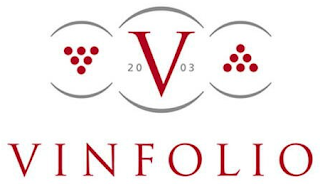 After 36 ratings, the 2007 vintages carries a median of 93. People aren't frequently disappointed when they buy a bottle of Caymus. I'm hearing rumblings that it might be advisable to buy few 2006 Napa Cabs in favor of the 2007 vintage that's now coming to market from wineries that release their wines on the early side. In the grand scheme of things, talking vintage variation and Napa Cabs is a bit of a silly pursuit. It rarely rains during the growing seasons and the conditions vary from "good" to "great" and high quality names like Caymus can typically manage their way to success. When I first opened this wine, I thought it was just another solid effort from the folks at Caymus. But after it breathed for just a little while I'm thinking this vintage might be a high water mark for Napa Cab. Classic Cabernet aromas of black currant with a touch of vanilla. Perhaps a little nutmeg. On the palate this wine is straight cola in a good way. Hardly tannic at all and it's only 2 years old. I was worried it was going to be a little young, but that's not the case. Perhaps not highly age-worthy but I thought this was an outstanding wine. A value at around $55 retail ($70 release price). This is a Wine.com affiliate link. 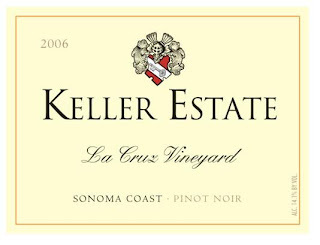 The 2007 California Pinot Noir vintage was hailed by Wine Spectator as being best-ever. Read more about there HERE. Will 2007 Napa Cab receive similar accolades? Question of the Day: Have you tried Caymus in the past? If so, what did you think? If not, what is your impression of the brand?